When it comes to surprising your loved ones , you might have a hard time choosing the right gift, especially if that person seems to have everything. You can break that monotony by using gift certificates. 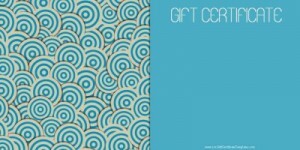 TheGridSystem has prepared a list of printable gift cards that can be useful for all sorts of occasions. Here’s a huge collection of printable gift cards / gift certificate templates that can be customized online and downloaded for free. There is always something special about monotones. 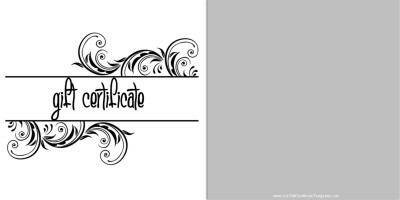 This printable gift certificate gives a very suave appearance and is perfect for a formal or stylish corporate gifting. 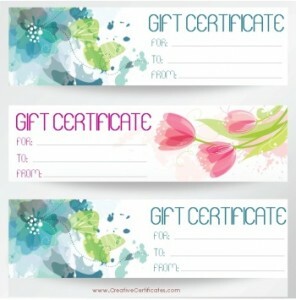 Courtesy: 101giftcertificatetemplates.com. Do you want to thank someone for always being there? This online gift certificate from 101giftcertificatetemplates can be used when you want to thank a special person for being your umbrella on a rainy day! Give this gift certificate to a special someone who has added colour to your life. This template from is a fun and colorful, perfect for your friends and family. 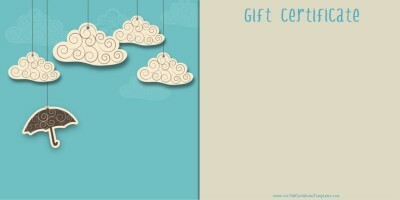 This one is a simple, yet elegant looking printable gift card from 101giftcertificatetemplates. The two red shiny ribbons give it the perfect “gift wrapped” look. 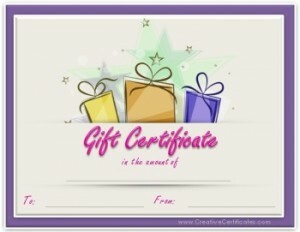 This online gift certificate from 101 Gift Certificate Templates is perfect for formal and corporate gift giving. 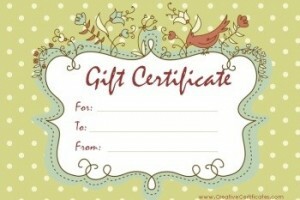 A gift certificate is after all a gift. 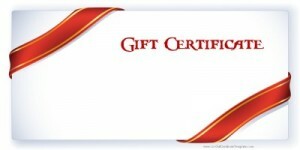 This printable gift card from giftcertificates4u.com looks like a gift wrapped with a red bow. Sending out a gift card for a dinner for two? 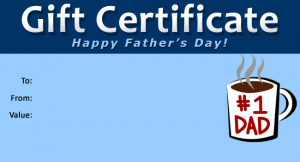 Opt for this classy wine and cherries online gift card from giftcertificates4u. Birthday wishes become more special and cherished when you put effort into them. 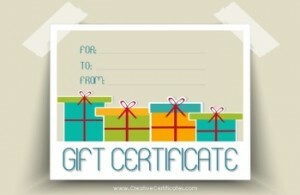 Customize this gift card at giftcertificates4u and add a dash of originality to it. Tis’ the season to be jolly! This printable gift card from giftcertificates4u can be used for the Christmas holiday season as well with its holiday colours of red and white. This beautiful, full-of-love Valentine’s Day gift certificate template from giftcertificates4u is perfect for that special someone, or even a friend you wish to send valentine wishes to. 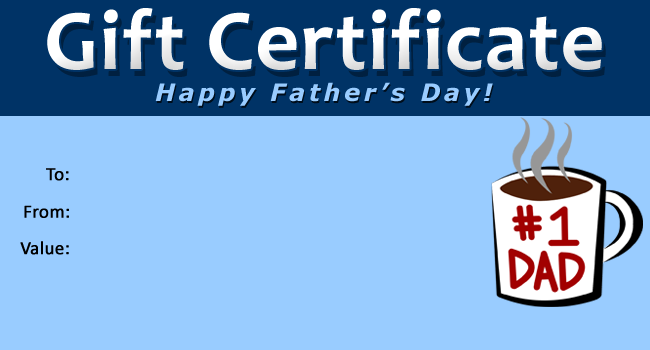 A simple illustration of “# 1 DAD” and a Happy Father’s day wish makes this blue gift certificate template from gifttemplate.com special for surprising your father. This “pretty in pink” Mother’s day printable gift card is the perfect card to brighten your mother’s day. GiftTemplate sure knows how to please parents. A special occasion calls for a celebration. 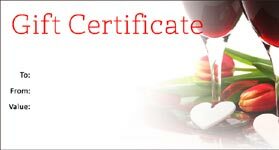 Raise a toast to Gifttemplate for this lovely “wine and heart” online gift certificate. 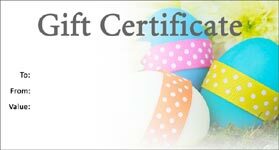 This colourful ribboned Easter eggs printable gift certificate is a great way to make your loved one’s holiday even more cherished. Planning to send out a unique gift for Christmas? 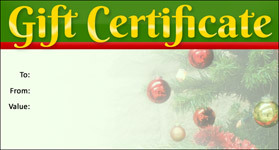 You can use this online gift certificate to make your season’s greetings more memorable. Heartfelt emotions can be illustrated in the simplest ways at creativecertificates.com. 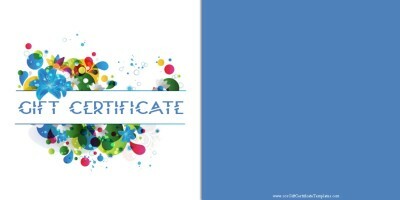 This gift certificate template is colorful and fun as well. A pretty card with blue or pink flowers can bring a smile on that “pretty” someone’s lips. This is three separate cards rolled into one. Make your corporate gifting look more stylish with these gift cards from Creativecerttificates. It features four blue, olive and yellow gift boxes with space to write your personal message. 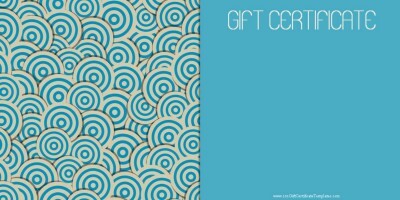 Lovely pastel shades of olive green, brown and blue create an aesthetic appeal to this printable gift card. It is a generic card that can be used for any occasion. Another one by Creativecertificates. 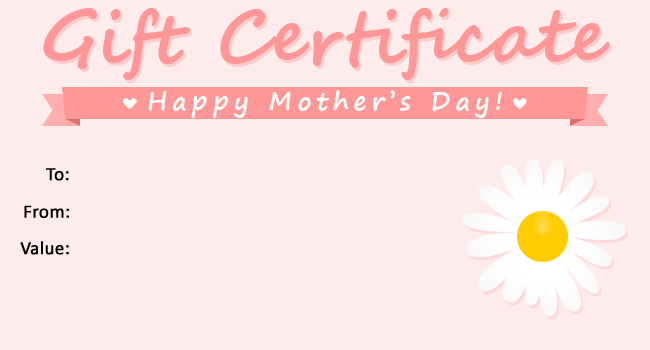 This cute pink gift certificate template is perfect for baby showers. ** This post was submitted by a guest contributor. If you liked these templates please show your appreciation by sharing this post on facebook/twitter or other social networks. Thanks!